Horrific acts such as today’s Woolwhich “Machete” attack tend to be cause for confusion. There are scattered witnesses, garbled video evidence, police press releases, and a line of hungry editors breathing heavily down your neck. Someone is dead; there are sensitivities to consider – they have loved ones, a family, friends. Others have witnessed the killing; they are likely to be traumatised. Wrong-headed reporting may even cause panic. The scenario may seem too difficult to bear, but experienced journalists have been doing this for many years. Once you have this down it’s amazing how easy you’ll find it to report violent death. This link takes you to a list of violent killings, all on British streets, in the past 13 years. They include: being punched to death, stabbed to death, thrown down stairs, run over by a car, set alight in a car, stamped to death, having one’s throat slashed, being hit repeatedly with a chair leg, and – in one particularly brutal case – being chased and murdered by an axe to the head (which remained embedded in the head when the body was found). It’s easy to be misled by these attacks. Yes, they were fully intended to cause others – the victims’ families, friends, communities, lovers – to feel something akin to terror. But the inexperienced journalist may miss something crucial here. Virtually all of these victims were of African, Asian, Arab or Caribbean descent. Dark skin is a red warning light when it belongs to a perpetrator. But when it’s the victim’s then it’s more like … a damp drizzle. Let’s face it: your editor doesn’t want a story about poor Mr Ahmed being beaten in his cab and, frankly, neither does the public. Should you report it? Yes, but only under the right circumstances. If it’s a slow news day, say; if the victim’s family are angsty you might even briefly hit the national news. A “black-on-black” incident? do not despair, you might be able to get this non-event squeezed through under “moralising about racialised communities”. Keep the story as short as possible. Always avoid reporting these attacks as terrorism. Also avoid the following terms: “striking to the heart of our community”, “absolutely sickening” and “an attack on us all”. Don’t fluff up your story with details of the victim’s life, his/her hopes or dreams, or his/her family. This bores readers. Focus on the mental health of the attacker, which is likely to be weak. Emphasise the extent to which they represent nobody but themselves. Here’s a great example of a Scenario 1 story. Note how the “knife-wielding” killer is continuously described as “mentally ill”. Her race is never mentioned (she is white, which is, as you know, the default race). The story is tiny, focuses on the mental state of the killer, and came out when she was on trial – there was little to no coverage when the attack actually took place. This is because with white-on-white non-Muslim violence, it’s vitally important not to cause panic. If the attacker was a police officer stay away from the story completely. If the family and neighbours start giving you crap, dig up some dirt on the victim and publish it everywhere, refuse to retract, claim the victim had a gun, a knife, was a terrorist, threatened the officers, or – if all that’s really a stretch – just say the whole thing was an unlucky accident. Always works. This can get you in the big leagues, if you play your cards right. It’s really important to know when this applies. Look at the above cases. Violent death on the streets, insults hurled, lots of gory details, a grieving family, traumatised witnesses. Now imagine the victim is white. Wait! We’re not necessarily in World War Three mode yet. If the attacker is also white, slow down. We’re almost definitely not in Scenario Two. This might be a little case of white-on-white violence. Nothing to worry about. If you don’t have indications that the attacker is Muslim, you must respond by wildly speculating that they may be Muslim. (Or you can find a plane crash-surviving far-right politician to speculate, and quote them, if you must.) But if they turn out not to be Muslim – Yawn! Back to Scenario 1. Imagine what kind of news coverage a massively unpopular nascent, disorganised and incoherent gang of fascist louts and thugs would need to gain members. Then: give it to them! If you’re having difficulty telling the difference between the two scenarios, don’t worry. Here’s a tip. For the first few years just ride the wave. Copy other journalists and follow their lead. To be frank, that’s what we all did when we were rookies like you. You’ll learn, soon enough. See also: The BBC: who cares if attacking Iran is illegal, look at these shiny F16s! See also: Oslo Attacks: “Analyst” realises his prediction was wrong. Predicts again. You seem to imply that if the British soldier murdered in Woolwich had been non-white the incident would not have been as widely reported by the British press. I disagree with this. An earlier plot was unfolded in 2008 that a British Muslim soldier would be murdered in similar fashion and, despite the attack not occurring, this made headline news. The implication that the victim was non white, by being Muslim, didn’t diminish the headline worthiness of the story. @J Crystal, please research the murder of the 76-year-old Mohammed Saleem in Small Heath Birmingham. It occurred a few weeks ago, he too was attacked with a machete, stabbed three times in the back. Do you remember this level of coverage? I only now know his name because he was discussed in relation to what happened today. The same for me. I did not hear about 76 year old Mohamed Saleem or the case of the British soldier who stabbed a ten-year old boy in Afghanistan. Not this level of outrage. Thank you for this article, sharing. One thing I will say about this article, which on the whole is very good, is the suggestion to focus on their mental health. Why replace one stigma with another? I suffer a mental health issue, but it does not make me a killer. 1 in 4 people have suffered from mental health distress. 1 in 4 people are not killers. I suggest you take a look at the Time To Change website and make a pledge. Don’t forget if it’s a death that was caused by a corporation it is a “tragic acidcent” and that the CEO and cutting corners on safety had nothing to do with it, unless it is in another country in which case the problems are because of the country’s lack of regulation. ‘Something akin to terror’ is not an act of terrorism though is it. Whilst terror is a generic term, in modern parlance there is no way the 13 acts of ‘something akin to terror’ you mention above can be compared to the Woolwich attack. In any of those 13 attacks were the British government mentioned? Were those victims attacked because they were a soldier or because of the colour of their skin? Racism is not terrorism and this truly fantastic attempt to manipulate the Woolwich story to suit the author’s narrative can only lead to more animosity. Naturally an act of terror will be more widely reported because they occur less frequently. This is not a justification of the large media interest; it is simply common sense. If something occurs a lot the public are less likely to be interested. By the same logic acts that occur in the UK are more likely to be reported. Acts that occur in Iraq or elsewhere are less likely to be reported because the public are less able to empathise. Again, not a justification; it is common sense. This really is an awful and manipulative piece. At a time when racial tensions are likely to be extremely high comments like these are misguided at best and dangerous at worst. Yes, KA, I agree with you that the above victims were attacked because of their perceived race, and not because they were soldiers. Was “the British government mentioned” in the other attacks? No, not as far as we know (although many dozens of cases could be compiled where people considered mentally ill have attacked others while mentioning the government). More interestingly, it might be worth examining why your criteria for a terrorist attack hinges on such an attack: a) mentioning the British government, and b) explicitly not being a racist attack. According to this logic, if a black person is killed violently with the express intention of terrorising other black people, we cannot consider this a terrorist attack as “the British government” has not been mentioned, and furthermore any attempt to consider it a terrorist attack would constitute a “truly fantastic attempt to manipulate the Woolwich story” which “can only lead to more animosity.” Therefore, if we state that horrible instances of violent death on British streets can be compared in the sense that their perpetrators (who are virtually always mentally unwell) seek to cause panic and terror, we are not only wrong, but “awful and manipulative” and “misguided”. It might be worth thinking, KA, about the contortions of logic that have landed you in this position. I agree, the media in the UK (and elsewhere) unfairly portrays ethnic minorities (as well as women and the working class among others). This current story is a strong example of this bias, just as your examples of the taxi driver or the other multitude of misrepresented stories in the media. This piece is intrinsically biased itself (ludicrously so, I’m not blinded to satire), yet the bitterness of the writing means that any satirical justification is negated. Not every journalist is racist, not every story is unjustified. I feel this piece goes to far with it’s criticism, until it spills over into manifesting the same criticisms being leveled at the media; partisanship and homogenizing. An act of terrorism does NOT hinge on mentioning the government or explicitly not being a racist attack. These were not criteria. They were key differences between the Woolwich attack and the racist attacks in the other article. There is no definition for terrorism and, of course, interpretation is personal. That is why, as I said, it is best to consider it in light of the current usage of the phrase. Your example of the murder of a black man to incite fear within the black community is clearly a racist attack. If this was also premeditated and the individual was chosen at random then this may constitute an act of terror (I say may because the legal definition for premeditation is very particular to the situation and facts of the case). Reading through the list of attacks provided all I can see are instances of drug and alcohol abuse, acts of personal revenge and instant acts of retaliation to perceived slights. There is also a huge amount of qualification (‘allegedly’; ‘suspected’). The distinction is extremely important. The Woolwich attack, on the current information available, is a terrorist attack. You group these racial acts together so simply without justification. One or two line sentences are the basis for the comparison. The lack of real insight is dangerous. I admit the language I used went slightly over the top; however this came from genuine concern. People will read this article and take it at face value without assessing the reasoning behind it. This is the kind of sentiment that creates a dangerous ‘us and them’ dynamic. – You’re not doing that though are you? You’re bringing race into the equation without basis which is the manipulation I am referring to. This comment is just as toxic as what you are trying to avoid, when it comes to representing people with mental health disorders. Hi Mindy and Alex. We totally agree with you both. Our point here is that the media *do* report such attacks by people with mental health disorders in a highly problematic way. We don’t agree with that at all, but this piece is written from the perspective of training the traditional media in how to reinforce their own bias and distortion. Sorry if that doesn’t come across, we will think about how we might be able to amend that sentence while remaining in keeping with the tone of the article. From a few of the comments made on this site, I think we miss what the writer is saying. To sensationalize news does more damage than good in the long run, and worse still is the fact we are now living in such a cynical world now that there is framework of what makes good news that borders on racism and religious bigotry! Naturally we all feel bad about the events at Woolwich but sensationalize it by saying that one of the murderers is of “Nigerian descent”, to me sounds like stigmatism, and one that most Nigerians don’t deserve. 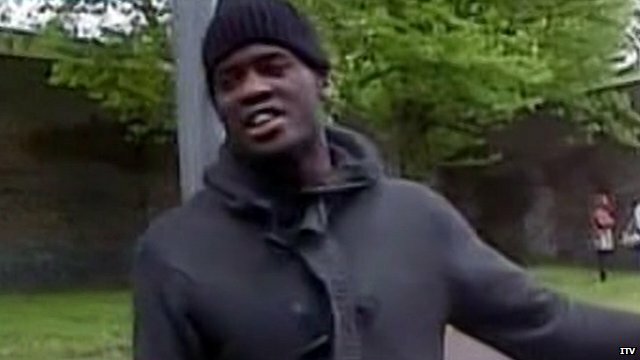 I think the fact that this individual was brought up in the UK and the apparent knife culture enjoyed in the country accounts for this butchery, and nothing to do with his descent! I agree that the coverage of killings is wildly uneven depending on the ethnicity/religion of the perpetrator, and I’m sorry to see that this piece is attracting flak. I’d like to theorise a little on causes of and responses to this type of action – and I could as easily be talking about the Newtown shootings, Raoul Moat, the Strasbourg killings, or James Holmes for instance. 1) blame entire groups of people, if this is viable – effectively collectivising blame, and creating an excuse for racism. This makes little sense, because most Muslims (or other specified groups) are as shocked by such actions as anyone else. The main social effects of this are to promote racism, to coerce minorities into condemnations which impede effective analysis, and to prevent anyone from admitting that intergroup oppressions (Islamophobia, racism, imperialist wars) cause this kind of thing as backlash. 2) blame the “mental illness” of the perpetrator. This makes more sense (the perpetrator seems to be in an extreme state of psychological arousal or disassociation). But it doesn’t make much sense for two reasons – firstly because people classified with “mental illnesses” don’t usually do such things, and secondly because the perpetrator often doesn’t seem to have a visible “mental illness”. The main social effects of this are to stigmatise “mental illness”, to deny the significance of grievances, and to let the psychologically “normal” feel smugly superior – while they vicariously kill thousands. 3) assume it’s just a matter of a wilfully evil individual, who has nothing to do with any wider causality. This also makes little sense. For one thing, perpetrators seem to be driven by a kind of crisis response, not by rational calculation or free will. For another, if the causality is simply individual, this implies there won’t be patterns in who does it and when – which clearly there are. The social effects of this are to downplay grievances and social causes, to promote moral panics and repressive closure of space (to deny opportunities to “evil” individuals), reinforcing the bracketing-out of the social frame as a cause of “individual” actions, and offering a reassuring ritual of blame and punishment which simply compounds violence with violence. I think the explanation needs to be mainly social. 1. These are basically grievance attacks. The attackers usually have unaddressed (often legitimate) grievances which are neglected in the account of causes. These often include bullying, police harassment, racism, psychophobia, unfair dismissal, etc. Lack of political efficacy is also part of the picture. In the case of Woolwich, this is probably a matter of seeing civilians killed in an unjust war, and cross-reading this with their own experiences of racism, Islamophobia, police harassment, personal and political silencing, poverty, and so on. Most people’s first gut reaction is to object to their methods, but first, we need to recognise that they usually have legitimate grievances. 2. They happen in neoliberal societies, and (in this form) *only* on neoliberal societies. See Ames’s “Going Postal”. They’ve come to Europe from the 90s onwards, and China within the last decade. However, there’s similar actions in other contexts of intense oppression – for instance, Fanon talks about similar random attacks by both colonised and colonisers in Algeria. Part of the picture is systematic political silencing and social control – the blocking of other avenues of expression. 3. They happen in an individualised manner when no collective mechanism exists for channelling frustration-aggression. They do not happen when aggression mainly occurs between two groups. In particular, random and/or gang-related violence seems to go up after the end of civil wars, when the structuring force of the overall conflict is taken away. 4. The perpetrators are usually highly psychologically repressed people who normally do not express anger or aggression. Instead, they build up pools of anger sustained by revenge fantasies, which they act out all at once. Those who survive the massacre usually return to a calm, passive, obedient stance afterwards. They aren’t necessarily “mentally ill” in a diagnosable sense, though they’re likely to have huge anxiety and stress problems. They also don’t fit the profile for psychopaths. The profile suggests that the psychological roots of such acts can be found in unbearably high levels of stress, frustration, anxiety and voicelessness. A subsidiary problem is the way these experiences are handled – the fact that more direct expression is precluded. 5. The perpetrators are nearly always men, and usually hypermasculine men. Hypermasculinity (or machismo) is common among men in subordinate groups, and functions mainly by converting vulnerable emotions such as fear and shame into anger. Hypermasculinity is widely present in cultural products aimed at young men, and also seems to be worsened by a “crisis of masculinity” resulting from the decline of industrial labour and the family wage. Deducing from these characteristics, I would say there is a specifically *social* causality involved, which means that *neoliberalism is to blame*. Most people are subject to unbearable amounts of stress and anxiety. These are compounded by a deficit in concrete justice – people are subject to patent unfairness (even on the system’s own terms), which cannot effectively be redressed. They are further compounded by high levels of frustration, due to constant demands for self-control, and a low level of need-satisfaction. Particular groups – workers, poor people, Black people, Muslims, the psychologically different – are subject to disproportionately high amounts of stress, anxiety, injustice, and frustration. However, most of the avenues to express or dissipate the resultant emotions are closed. Some societies visibly have “safety valves” ranging from sports-related group confrontations, to carnivals where role-reversals occur, to everyday deviance, to ritualised feuding, to periodic militant protests. Neoliberalism has tried to shut down the opportunity for any such dissipation of frustration or stress through “zero tolerance” approaches. The result is a kind of social pressure cooker, where potentially violent emotions are bubbling near the surface, and are kept down mainly by repression and anxiety. The only thing preventing an outpouring of anger is an even greater build-up of anxiety. In this context, a range of coping strategies are implicitly offered or available – among them revenge fantasies, hypermasculinity, holding grudges. The overwhelming majority of resultant aggression is either self-directed – the rising tide of suicides for instance, and the epidemic of depression (40% of people by same ratings) – or channelled downwards by the system, as vicarious hatred of out-groups. Occasionally it overspills into random or upward-directed violence – at which point the moral panics kick-in. Moral panics are themselves part of the downward channelling of aggression, and also tend to increase the overall level of stress, anxiety, unfairness, and frustration – hence being counterproductive and pointless. People have genuine grievances (including foreign policy!) which lack legitimate outlets. Hence, what we see in such cases is a social pathology which expresses itself at the location of a particular individual, rather than an individual pathology. So the blame lies primarily with those who maintain a pressure-cooker society, maintain a spiral of moral panics and repression, and maintain a situation of permanent war. * pursuing social peace instead of social war. And the answer is: “by sustaining a pressure cooker society”. Ultimately the situation of social war suggests a need for conciliation rather than condemnation, since otherwise one risks reproducing the cycle of violence and silencing which drives people to adopt such extreme means to obtain voice or recognition. I think the fact that we are seeing the bloody handed attacker, standing on the street corner, weapon in hand, spouting his diatribe, makes this incident stand out above others we only hear of. Alternative Analysis: thank you for such an incisive, carefully considered, rigorous and perceptive comment. It certainly made me rethink the social causes of events like these. If an atheist (say, me) were to set fire to a house, would the news report “godless are launching a war against real estate”? Declarations are mostly irrelevant, what matters is action. A protest or a strike are, generally speaking, potilical actions. The cause and effect of such actions are linked and logical. Chopping someone to death in the middle of London is an act of madness. What the person committing this act has to say regarding motivation should be considered in the light of their mental state. It is dangerous to attribute their motivations to a wider group (of the same race, religion, gender etc). The action is the motivation in such a case. And if you want to go out and commit violence you will find any excuse. “The devil made me do it”, “I did it for *insert religion*” are excuses because everybody, even the mentality unstable, needs a greater cause. Nobody wants to say that they just kinda felt like killing someone that day. Alternative Analysis, that was simply the best, most thoughtful, considered, rational bit of analysis I have read. Possibly ever. Thank you so much, I’ll be sharing this link and recommending that everyone I know searches out your post.